Board members who are not 2019 conference speakers. Board members who are 2019 conference speakers. The free one-year BRBA membership for conference speakers who are already members will commence when their current membership cycle ends. The free one-year BRBA membership for non-member conference speakers begins immediately following registration. 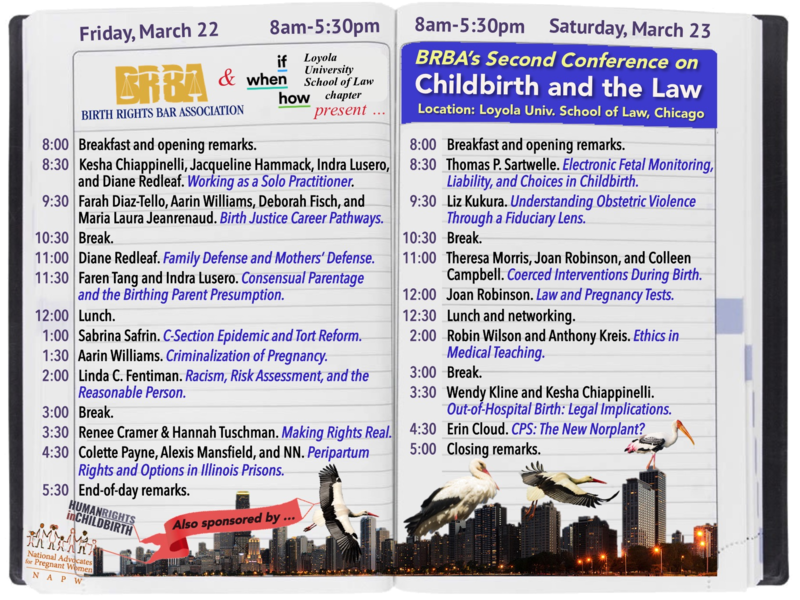 Purchase a $25 law student membership at https://birthrightsbar.org/membership. Then return to this page to register. Note: BRBA expects to be granted at least 14 CLE credits from the Illinois State Bar Association, which attendees can submit to their own state bars.